International teams are continuing to search for EgyptAir plane that disappeared over the Mediterranean. Military units from Greece, Egypt, France and the UK are taking part in the operation near the Greek island Karpathos. 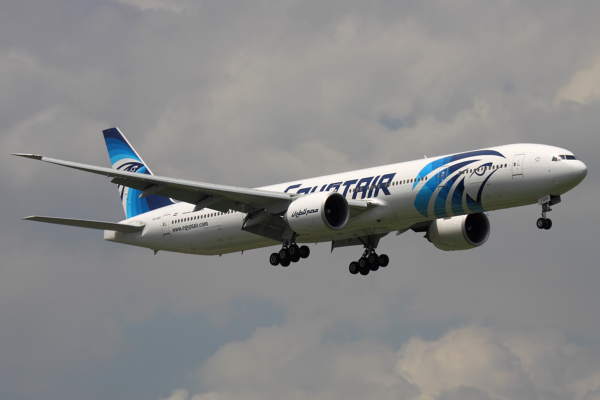 Initial reports on May 19, based on Egyptian officials’ comments that wreckage had been found, later proved unfounded. Greece’s lead air accident investigator Athanasios Binis said items including lifejackets found near Karpathos were not from the Airbus A320. “An assessment of the finds showed that they do not belong to an aircraft,” he said. Egypt’s President Abdel Fattah al-Sisi has ordered the country’s civil aviation ministry, army-run search-and-rescue centre, navy and air force to take all necessary measures to locate the wreckage. The French air accident investigation bureau has dispatched three investigators, along with a technical adviser from Airbus, to join the Egyptian inquiry. In France, the focus is on whether a possible breach of security happened at Paris’ Charles de Gaulle airport. Security was already tight, and under review, after last November’s attacks by ISIS in Paris. Flight MS804 left Paris at 23:09 local time on May 18 and was scheduled to arrive in Cairo soon after 03:15 local time on May 19. On the plane were 56 passengers, seven crew members and three security personnel. According to Greek aviation officials, air traffic controllers spoke to the pilot when he entered Greek airspace and everything appeared normal. They tried to contact him again at 02:27 Cairo time, as the plane was set to enter Egyptian airspace, but “despite repeated calls, the aircraft did not respond”. Two minutes later it vanished from radar. Greek Defense Minister Panos Kammenos told reporters: “The picture we have at the moment on the accident as it emerges from the Greek air force operations centre is that the aircraft was approximately 10-15 miles inside the Egyptian FIR [flight information region] and at an altitude of 37,000 feet. Egypt’s Aviation Minister Sherif Fathi said: “Let’s not try to jump to the side that is trying to identify this as a technical failure – on the contrary.